Ontario, March 23– Friends, family, business owners, and Ontario Chamber members were on hand to offer congratulations to Sylvia and Mark Ryndock on the grand opening of their real estate office at 1250 NYS Rt. 104, Ontario. The Ryndock’s have renovated an office space that had been vacant for many years in the Ontario Plaza, corner Rt. 104 and Slocum Rd. Sylvia said it took vision, persistence and some work, but the result is a beautiful, contemporary looking office with a lot of appeal. Sylvia hopes this will be a spark for other businesses to locate in the same area. Ryndock Realty, LLC, “Where Our Heart is in Your Home” was established November 11, 2016 in the residence of Mark and Sylvia Ryndock, Ontario NY. Mark was raised in Walworth and has been a lifelong resident for over 45 years. Sylvia moved to Ontario in 1983 and has lived here for 36 years. Mark and Sylvia were married July 15, 2000 and this year will be celebrating their 19th Wedding Anniversary. All three of their children attended Wayne Central and they have a grandson who currently resides in Rochester, NY. Sylvia has been a licensed real estate agent for almost 15 years. Although she considered herself to be living a healthy lifestyle, sadly a diagnosis of breast cancer was received on December 27, 2013. After the sixteen month journey of surgeries, treatments and dealing with a life threatening disease, Sylvia knew that she needed to take her profession to the next level. Sylvia began her online broker’s course in 2015 and became a broker July 2016. 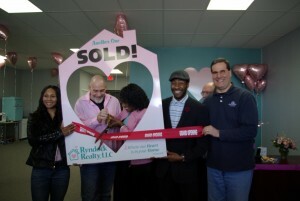 November of that year, she just knew it was time to start Ryndock Realty, LLC. After establishing their company, Mark as co-owner and Sylvia as managing/broker owner they have been working to build a name and reputation in Ontario as a business with character and a compassion heart. Their desire is to help sellers and buyers through the home selling and buying steps in the most simplest and easiest process. 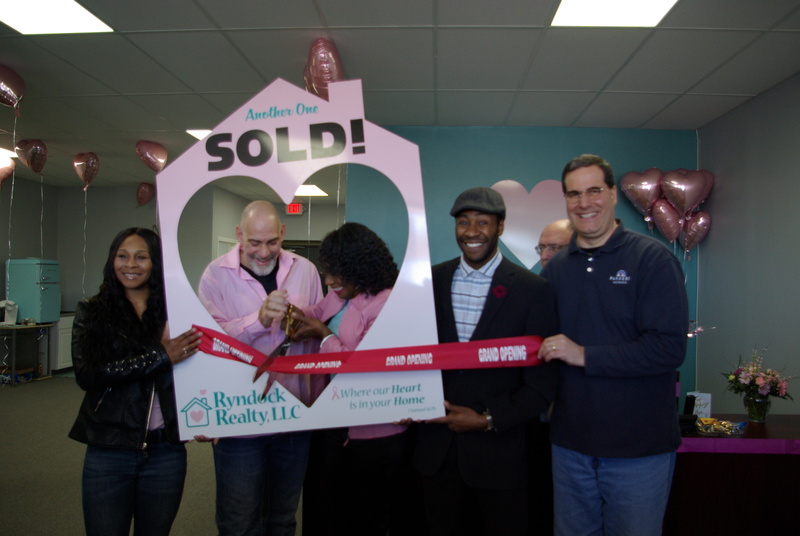 Also, Ryndock Realty is proud to say they currently have four realtors who have joined their company and look forward to increasing their family of professionals. By relocating Ryndock Realty from their home to its current location, their vision and dream is to see their company become a big part of the Ontario community that they thoroughly embrace and enjoy. Mark and Sylvia would like to thank you for joining in their Grand Opening Celebration as they officially open their office to you all. Come in and look around, get to know them, enjoy the refreshments, win a prize, have a fun time and please come back and let them help you buy or sell your home!